Sign up by Dec 11th for this year’s Study America trip (May 16-30, 2010)! Applications available in the Honors Office (Zellner Hall, rm 100). 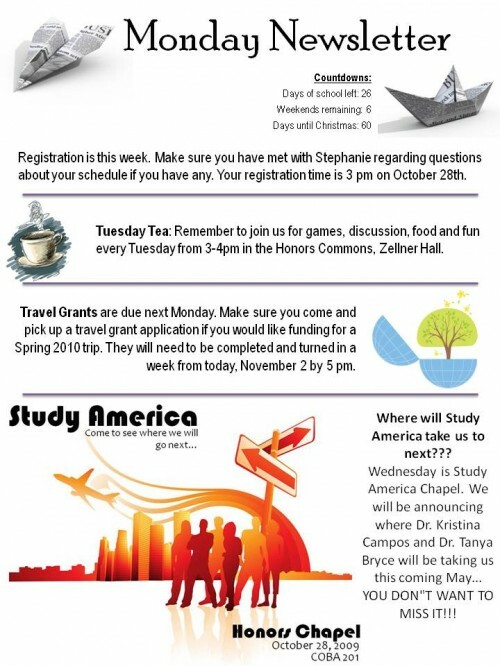 Wednesday is our special Study America chapel! 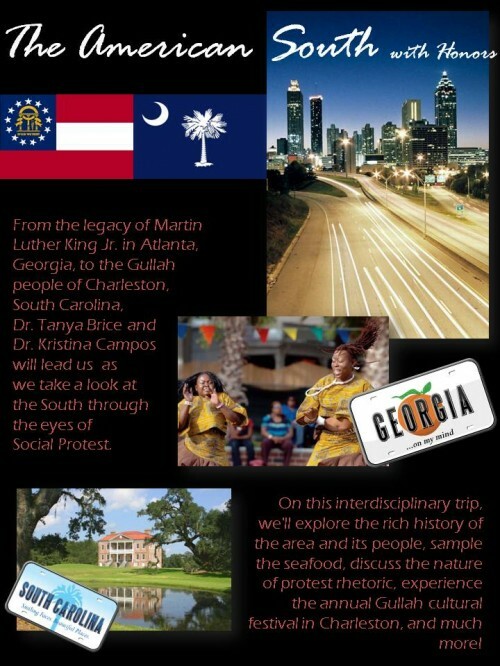 We’ll be announcing where Dr. Kristina Campos and Dr. Tanya Brice will take us this Maymester! YOU DON’T WANT TO MISS IT!!! !